Fox Hills Golf & Banquet Center is an upscale golf and event destination, nestled in the beautiful countryside of Plymouth, Michigan. Guests who arrive on the 500 acres of plush scenery soak in the splendor of all 63 holes of golf complete with breathtaking views. Fox Hills offers three pristine and diverse golf courses: The Golden Fox, Fox Classic, and the Strategic Fox. Fox Hills has been recognized as one of the top public golf courses and wedding destinations in Michigan, winning countless awards over the past 40 years. 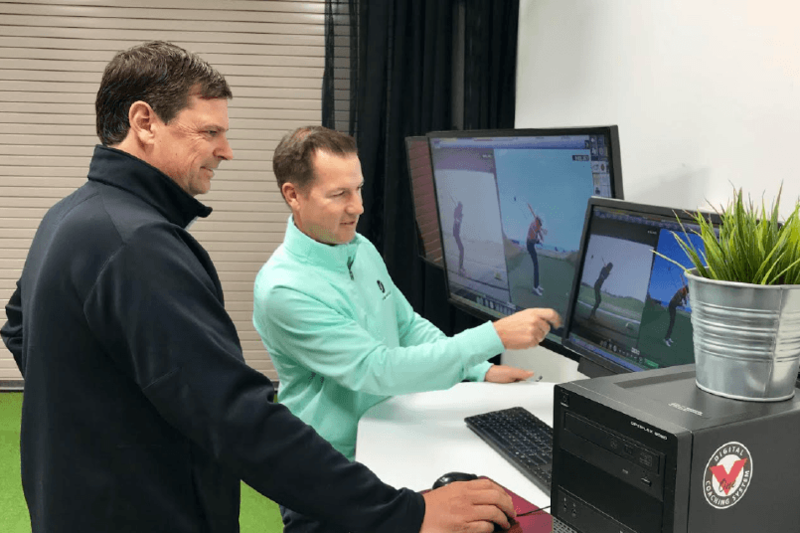 The 6,000 square foot Fox Hills Learning Center houses seven hitting bays that allow 10 PGA/LPGA professionals to teach golf instruction and assist with golf club fitting, all year long. Each bay is outfitted with a V1 Golf Studio System with dual high-frame-rate high-definition cameras and double big screen TVs for instant feedback. Additionally, the building has a putting studio, reception area, and multi-purpose room for educational purposes. Fox Hills also offers a unique Adult Team Training program where skills are learned and transferable to the course. The frequency and duration of this program are keys to reducing frustration and anxiety while playing. It also increases confidence level of the student, which allows them to have more fun while playing. Sessions are long-term development programs consisting of small groups with a student teacher at or below a 5 to 1 ration. V1 has worked in tandem with Fox Hills to create an ideal platform for golfers of all abilities to grow as players.